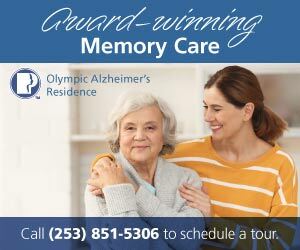 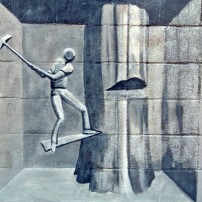 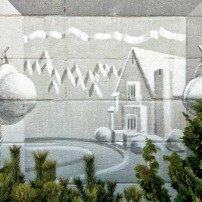 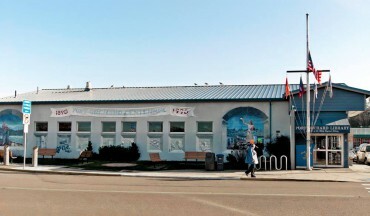 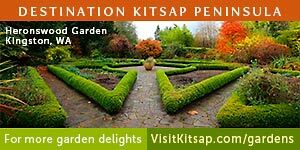 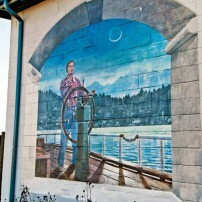 The mural on the Port Orchard Library wall is strategically placed at the town’s transit hub. 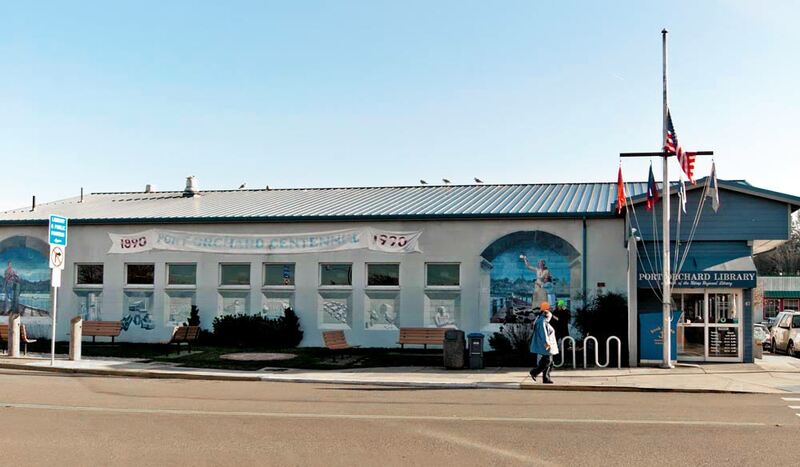 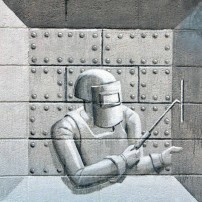 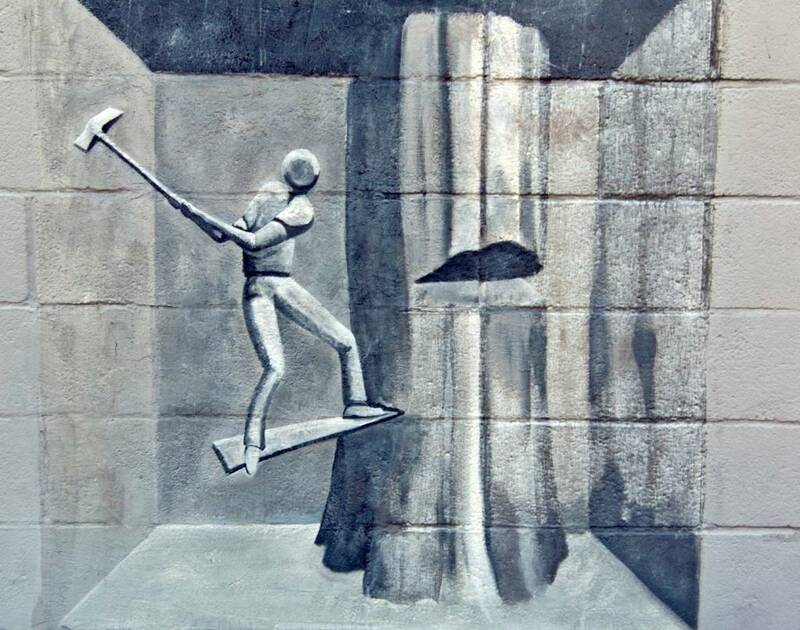 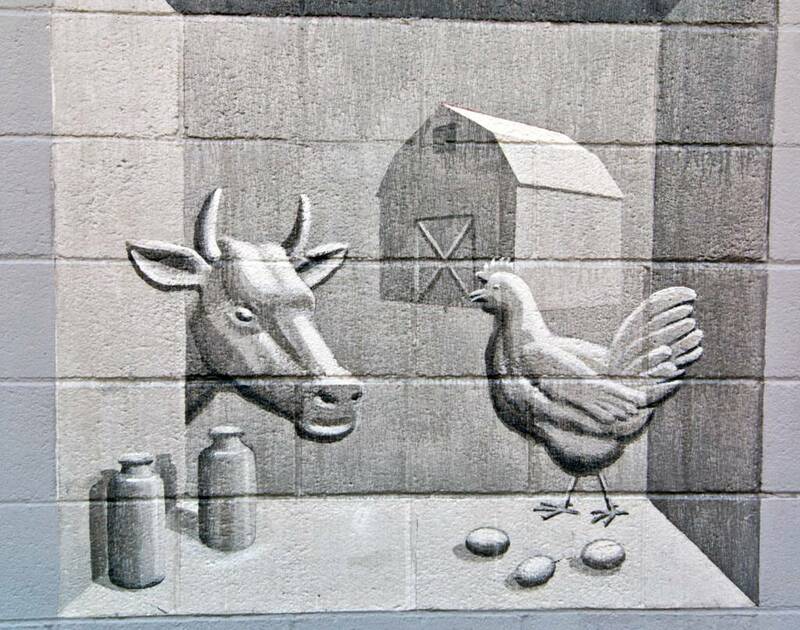 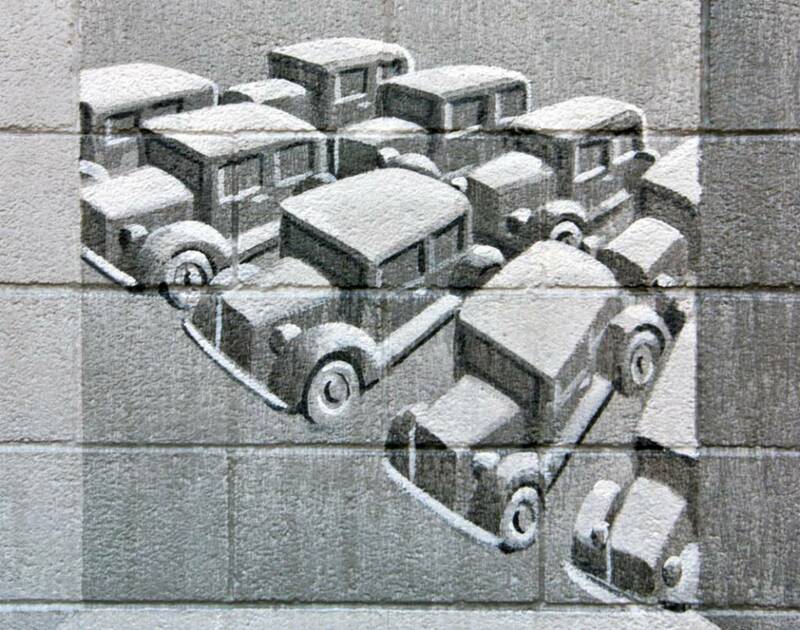 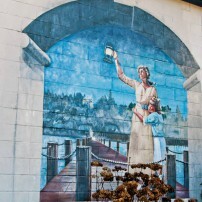 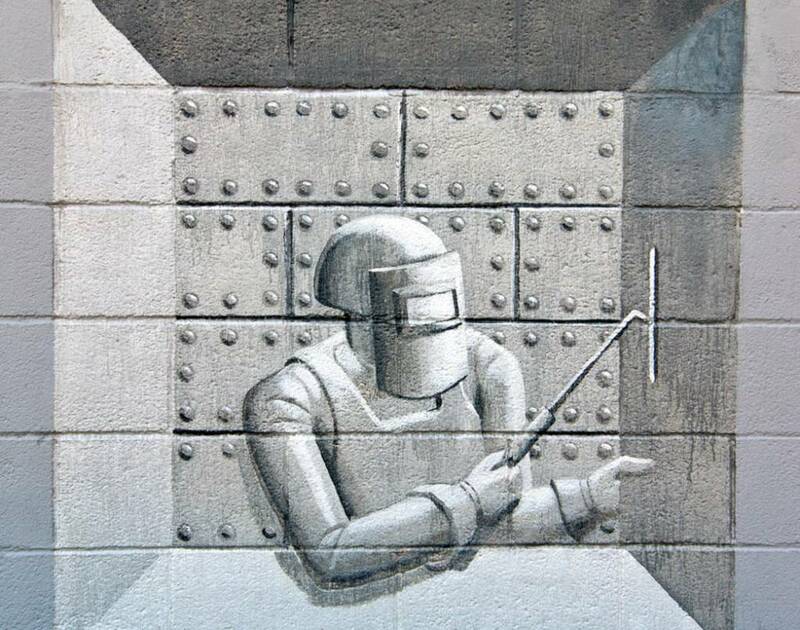 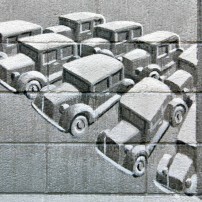 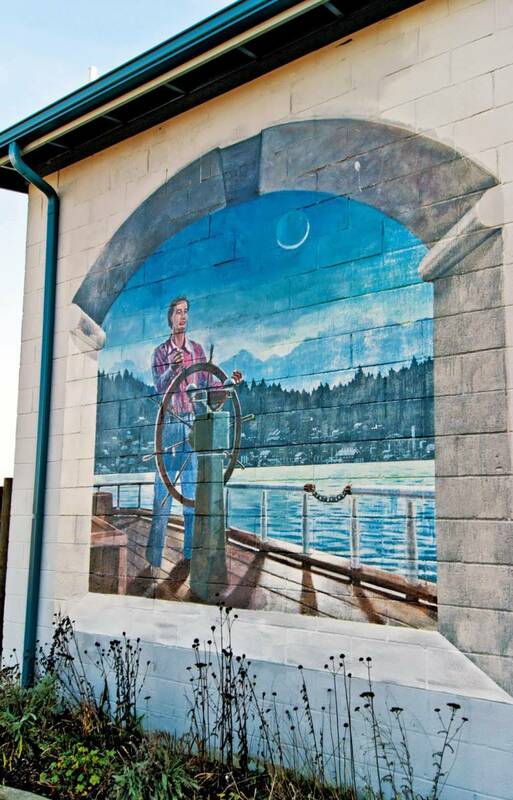 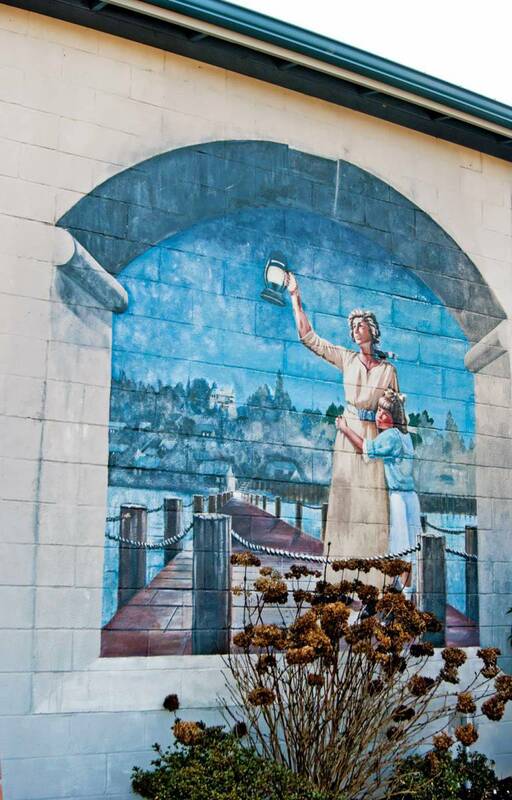 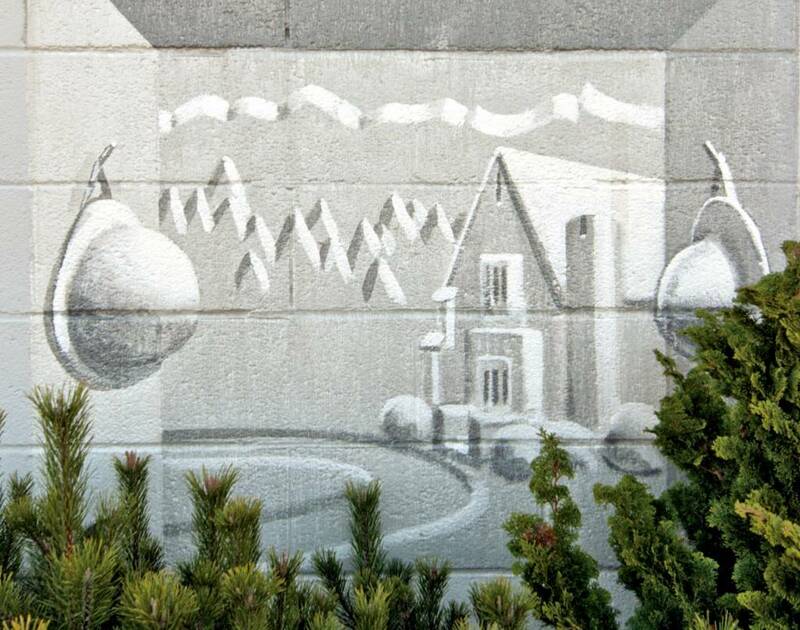 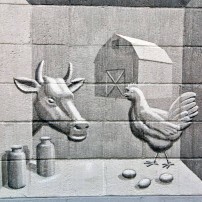 In 1990, Port Orchard’s centennial, Seattle muralist Eric Grohe was commissioned to paint a scene depicting the town’s history. 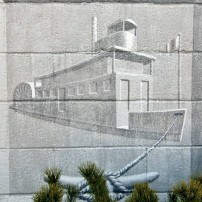 At one end, a seafaring man stands at the helm of a ship; at the other, his wife and child anxiously await his return. 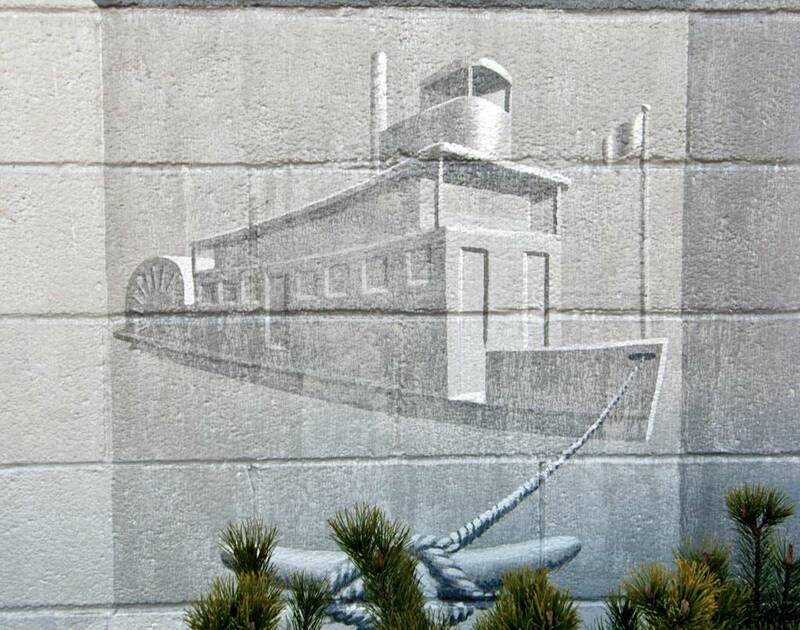 Smaller pictures depict the town’s agriculture and industry through the years.